Meet E.C. Max, a lovable know-it-all. In fact he is a certified genius. He has many misadventures while solving everyday problems using science and technology. His inventions and experiments usually have wacky, unexpected results. Slap that mosquito as you read how Max deals with pesky pests in E.C. 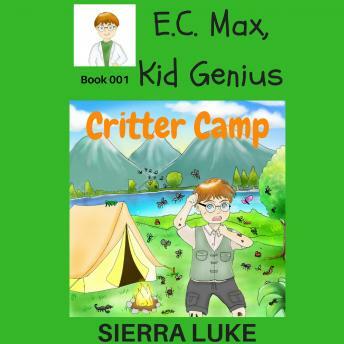 Max, Kid Genius Critter Camp!